The Advertising Association of Winnipeg‘s Signature Awards honours the best in Winnipeg advertising. 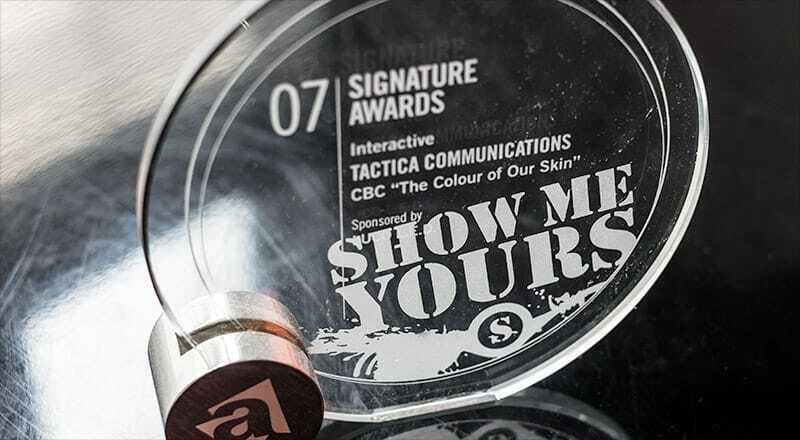 Tactica received a “Best Interactive” Signature Award for our interactive presentation The Colour of Our Skin, a penetrating look at Winnipegger’s experience with race and racism. Produced in conjunction with CBC Manitoba.